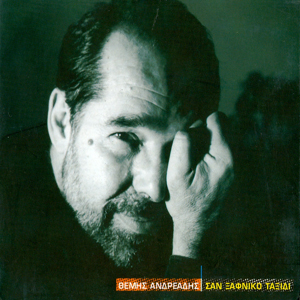 “San xafniko taxidi” from Themis Andreadis has been released for the first time in 1982. PROTASIS releases again this great album after 21 years. The reason is obvious: The artistic, historic and emotional value of this music is huge. After a long successful career by the satiric musical genre, Themis Andreadis decided to write music for the lyrics of Manos Eleftheriou, Manolis Anagnostakis and others, showing a more personal side of himself to the audience and the discography.